This month we are running a special series based around John’s new book The Eynes Anthology! Now for some insight on what we are doing. This month we are bringing you a series of episodes with the creators behind the stories in John’s book. 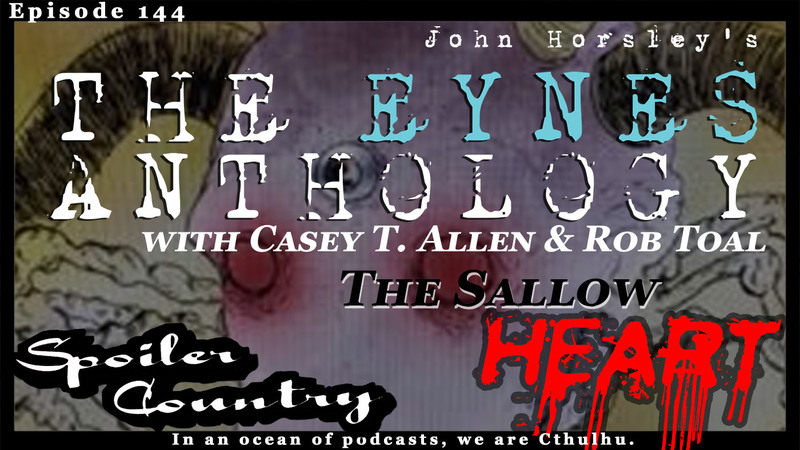 First up us Casey T. Allen and Rob Toal, the writer and artist behind the story “The Sallow Heart. This episode also features the song “Iota” from Thy Sky Giants. Look for it on their album “The Shifting of Phasworld”. They where nice enough to allow John to use this song on the upcoming Eynes Soundtrack that will be available through the kickstarter!